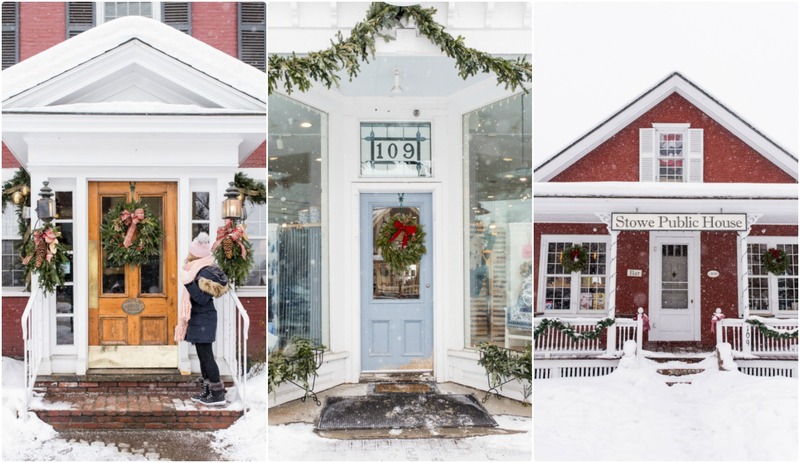 Winter Getaway to Vermont With Porter Escapes | La Petite Noob | A Toronto-Based Fashion and Lifestyle Blog. 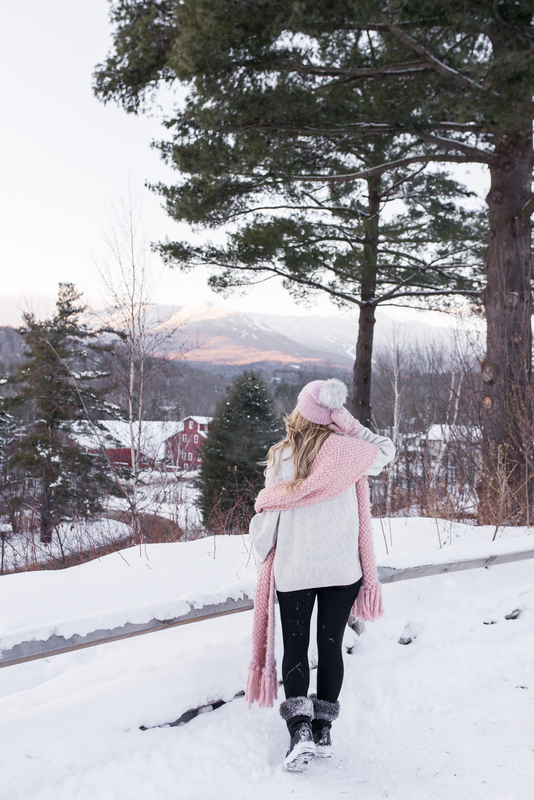 While most people are getting back into a routine and taking it easy after the holidays, Sabrina and I decided that we were due for another girl's trip and headed to snowy Vermont with Porter Escapes. Who's afraid of a little snow and cold? 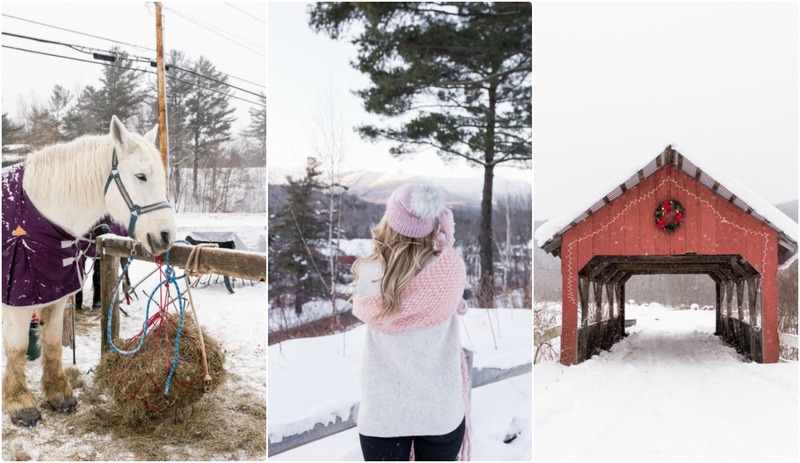 We certainly aren't and I'm so glad that we made the journey; Vermont in the winter is a beauty unlike anything I've ever seen, and I highly encourage everyone to put it on their travel bucket lists. You guys know of my love for Porter Escapes from my last girl's trip to Washington, DC. I'm all about convenient travel, especially when it's a place that I've never visited before, and Porter Escapes is all about convenience. Porter Escapes is an easy and straightforward approach to packaged vacations and offers an extensive variety of flights, hotels and activities to create a curated holiday just for you. I love how the service is paired with one of my favourites, Porter Airlines, and the whole experience offers a beautifully simple and refined way to plan a vacation with any budget. While I knew that I wanted to visit Vermont, I was unsure of the protocol since I'm not really a skier; Porter Escapes was definitely the way to go. From flight to hotel, everything was planned and set up. The airport convenience. As a city dweller in a congested city like Toronto, the fact that the airport is just a short drive (Uber ride) from my condo is amazing and totally cuts down on the time spent preparing for travel on the day-of. Check in is always a breeze. I prefer to travel using carry-on luggage only, so check in will literally take minutes for me - it's pretty amazing! The Porter airport lounge is relaxing and accommodating, with complimentary snacks and hot and cold drinks. Myself I always like to load up on espressos and butter cookies. The snacks don't end in the lounge - there's also complimentary hot and cold beverages, wine and beer plus an assortment of snacks on the flight too! Porter airlines flies to Burlington, Vermont weekly, from December to March, with flights leaving on Tuesday and returning to Toronto on Saturday. The flight itself is only an hour, and flies by. Before we knew it, it was time to descent into Vermont and start our snowy adventure. 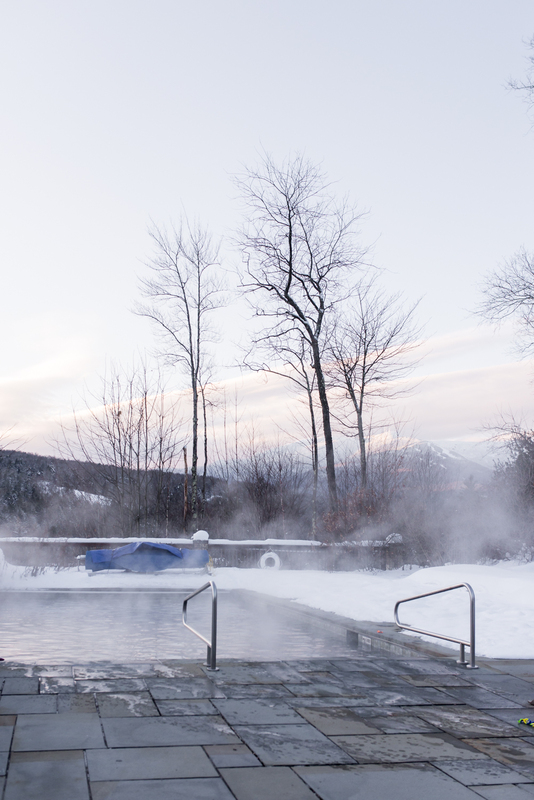 Our first stop was Topnotch Resort in beautiful Stowe, Vermont; about an hour's drive from the airport. This resort is breathtaking and captured our hearts right as we pulled up to the front entrance. Topnotch Resort prides itself on being an oasis that sits on 120 acres of land, with everything available from fine dining, modern tennis facilities, an incredible spa and an array of free activities to do around the resort. Sabrina and I managed to try almost everything that Topnotch Resort had to offer, and love every second of it! The views from the resort are unbelievable - just so, so pretty. To be nestled in a winter wonderland, surrounded by snow-peaked mountains is truly a treat. We always had a view of the mountains, wether it be from exploring outdoors, during our meals or even from our room's window. The resort itself is all interconnected, so you don't need to bundle up while strolling from your room, to the spa, to one of the restaurants. This came in especially handy on one stormy night. While outside was an orchestra of wind and snow, we were cozily headed to dinner in our slippers and sweaters, blissfully warm and unaware. The dining options are delicious, and there truly is something for everyone. We found ourselves at The Roost for most lunches and dinners; we loved the chilled-out atmosphere, and their french onion soup. 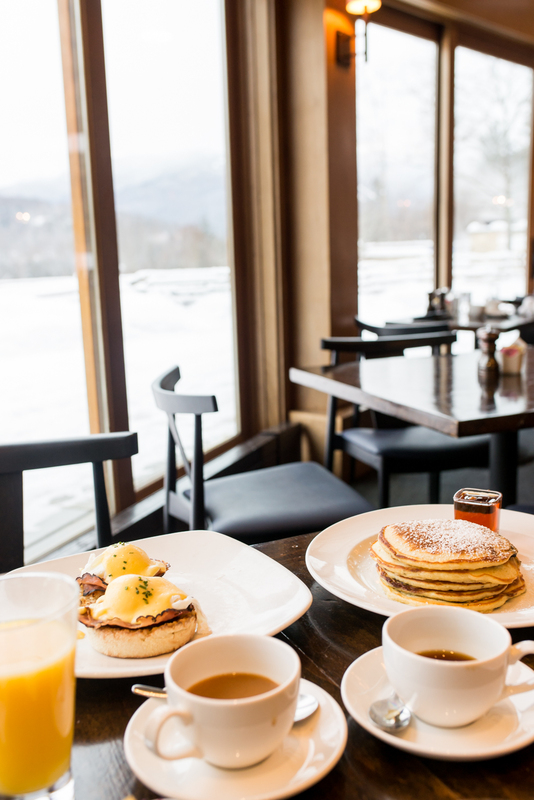 Flannel is the more upscale restaurant of the two, and where we found ourselves for every breakfast; the pancakes are amazing, and you can't beat munching on eggs benny while looking at the mountains. Topnotch Resort offers a free shuttle service, to and from the Stowe Mountain Resort, and into the town of Stowe, Vermont. We took advantage of the shuttle to head into town and it was one of the highlights of the trip; Stowe, Vermont is just so beautiful. The free shuttle service is an amazing feature of Topnotch Resort, and one I would definitely encourage you to take advantage of. There's a variety of activities available throughout the resort, all complimentary. I loved lacing up for the first time in years, and having a skate on the outdoor ice rink. There's also horse-drawn sleigh rides, which is just as beautiful as it sounds. Honestly, the activities are amazing and make me appreciate the beauty of winter on a whole other level. I wanted to make special mention to the spa at Topnotch Resort, because it truly is something to experience. You guys know that I am the spa lady; I love spas, can't get enough of spas and can spend an entire day just relaxing at a spa (no joke.) 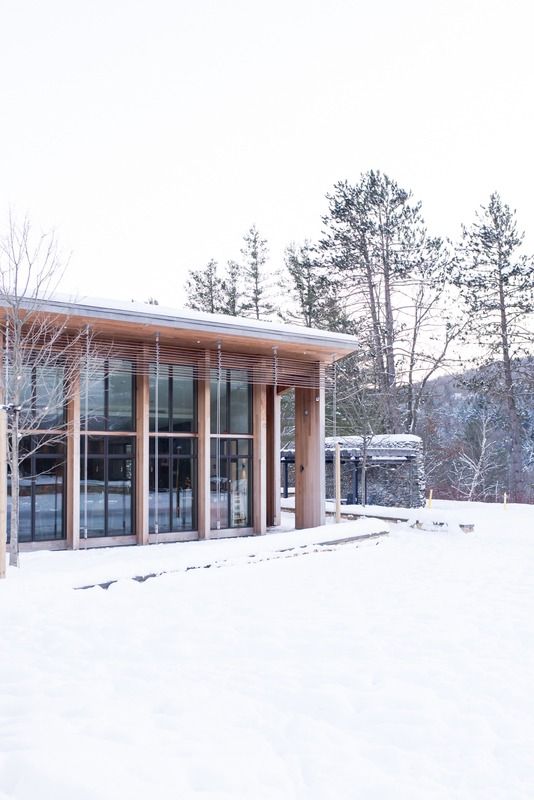 The spa at Topnotch Resort is one of the best I've ever visited; not only for the amazing spa amenities and aesthetics, but also because of how nice and skilled everyone who works there is. I could ramble on about this spa for hours, but here's a few highlights that I wanted to mention. Sabrina and I booked in for separate aromatherapy massages. As someone who goes for at least one massage a month, I have to say that this was one of the best massages that I've ever received. From being able to select which blend of oils you wanted for the massage, to the relaxing treatment that literally melted my stress away, to the chilled-out relaxation room afterwards, I loved it all. The relaxation room includes complimentary snacks and refreshments, so you guys already know that I was in heaven; the way to my heart is definitely through snacks. There are also a fitness centre and fitness classes available. Sabrina and I signed up for one of the yoga classes, and it was a great way to start out the day; relaxing, and suitable for all skill levels. Needless to say, we both thoroughly enjoyed our time at Topnotch Resort. For two girls who don't ski or snowboard, there was plenty to do and explore and I could only imagine how amazing the property would be for someone who partakes in winter activities. Before we knew it, our stay had ended and we were on our way to the next adventure. An outdoor, heated pool. We weren't brave enough to go in, but did notice quite a few of the guests enjoying it! 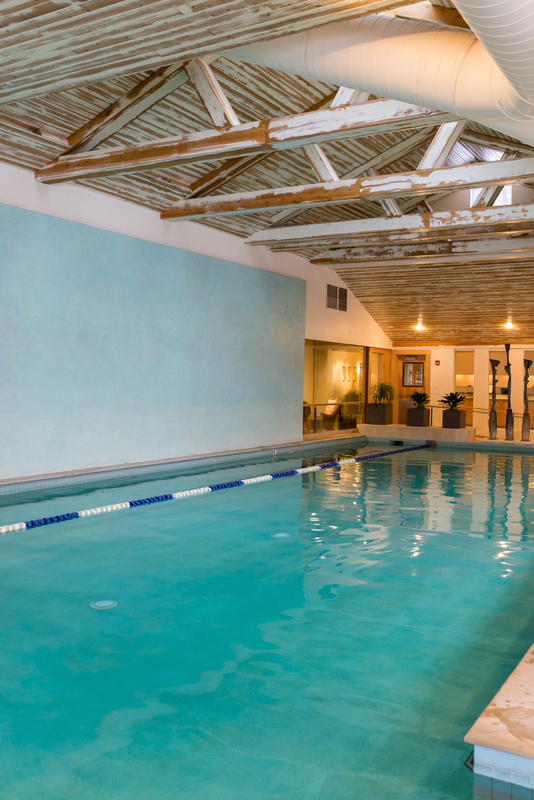 This huge solarium pool is available for guests! 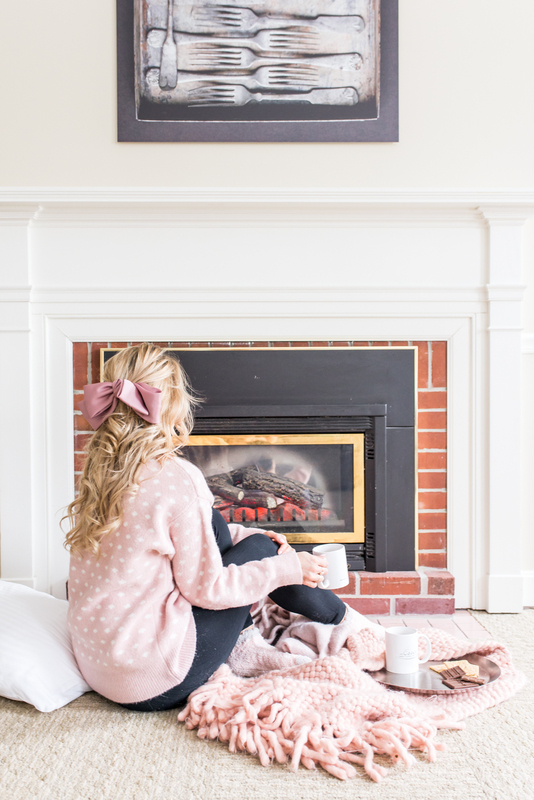 The rooms are perfectly cozy with beautiful cabin vibes. Stowe, Vermont. Almost too pretty to be real! 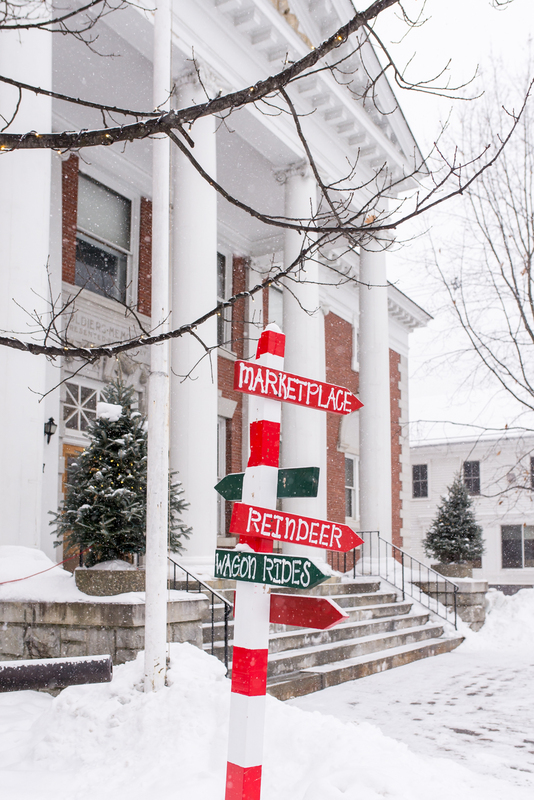 I just loved the buildings in Stowe, Vermont. So, so pretty. Next on the agenda was a stay at The Essex Culinary Resort & Spa. 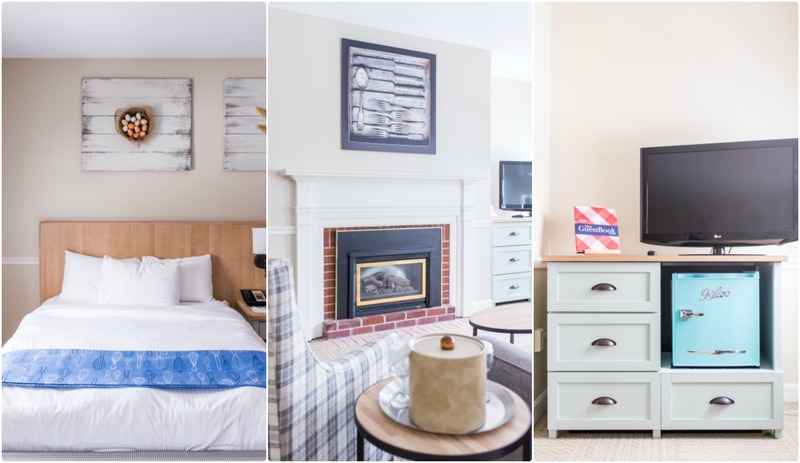 Located outside of Burlington, Vermont, and about 20 minutes from the airport, The Essex is a picturesque property that has all that you could want for a relaxing getaway. The property itself is just gorgeous; picturesque, with gorgeous grounds to explore. We checked in right away, and immediately made ourselves at home. Our room at The Essex was a light-filled sanctuary, complete with a sitting area and our very own fireplace. There were two queen beds and they were so soft - I'm talking sleeping on a pillow, soft! I could barely get out of bed in the morning, they were that comfortable. I just loved our room, and could have spend all day just lazily relaxing, while looking out to the snowy wonderland outside. The Essex is Vermont's only culinary resort, and you can definitely tell that they take their food seriously. 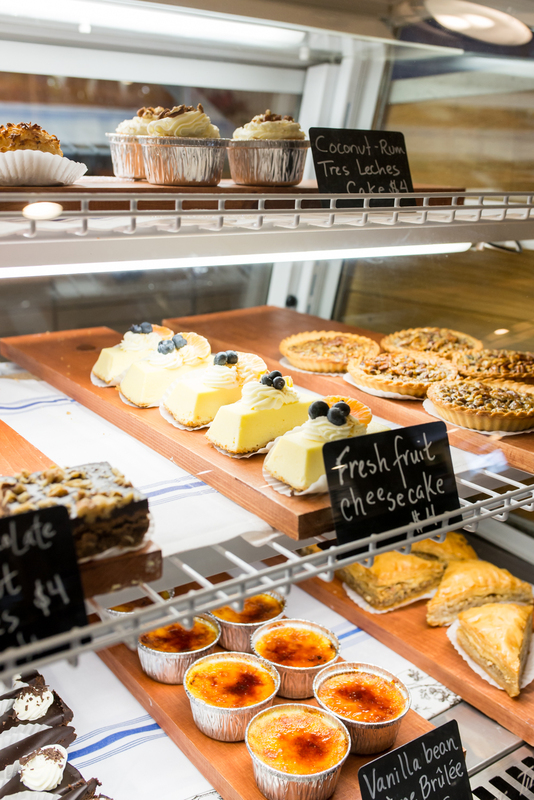 Ingredients are locally sourced, and their attention to detail is outstanding. We had a quick bite to eat at The Tavern for lunch, and ordered room service for breakfast. The breakfast was no joke and I will forever be dreaming about those waffles. The Essex also offers a Cook Academy, where you can partake in a variety of different onsite cooking classes. 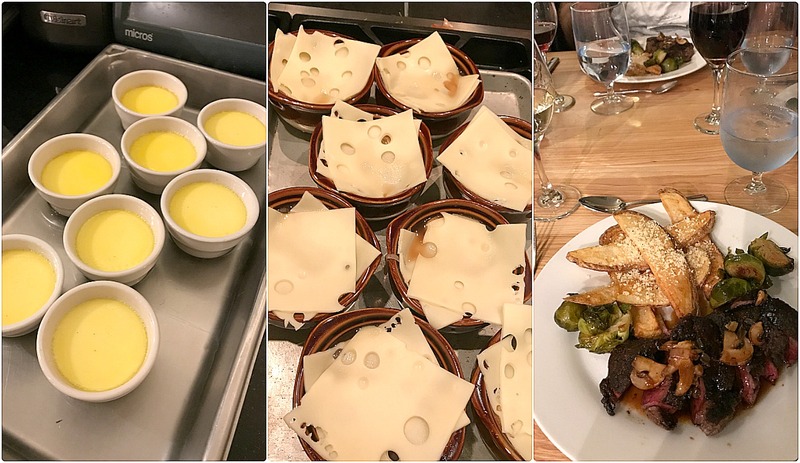 Sabrina and I participated in the 'Bistro Favourites' class, and were able to feel like pros as we whipped up french onion soup, a beautiful steak dinner and crème brûlée. Truth be told, I'm pretty much a disaster in the kitchen and don't particularly love cooking, but Chef Lisa made this class a lot of fun! The class flew by as we were all busy preparing our meal, and were able to enjoy the fruits of our labour with a glass of wine. 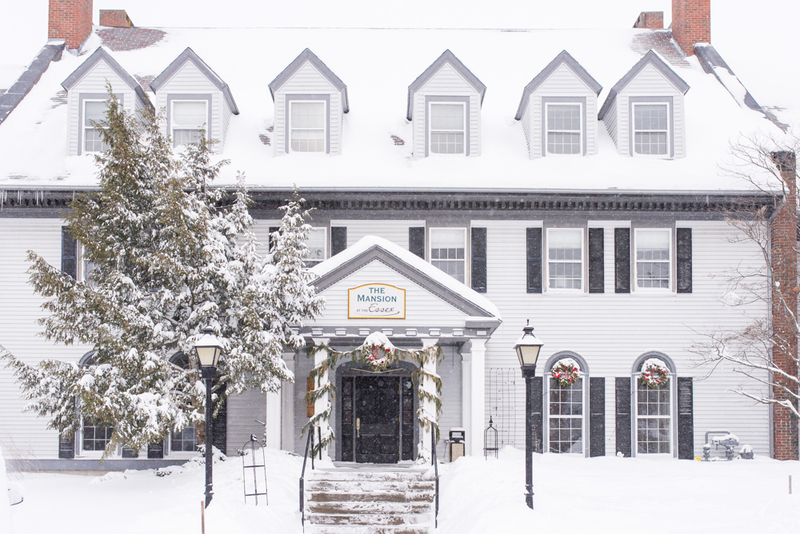 The Essex Culinary Resort & Spa also offers a free shuttle service that we used not only to get back to the airport, but also to visit Burlington, Vermont. 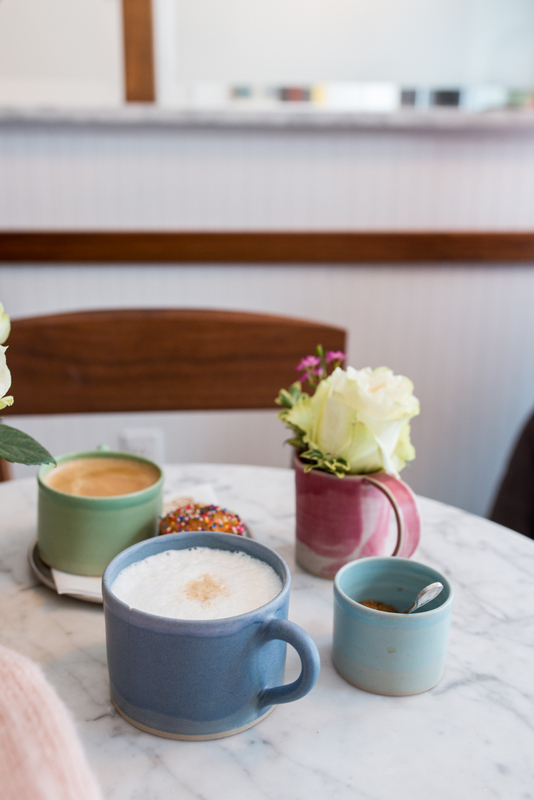 Burlington is another beautiful area of Vermont, with lots of shopping, eateries and cafés all within walking distance of each other. Sabrina and I spent our time at Monarch & The Milkweed, which is the cutest café in downtown Burlington, and walking around beautiful Church Street. 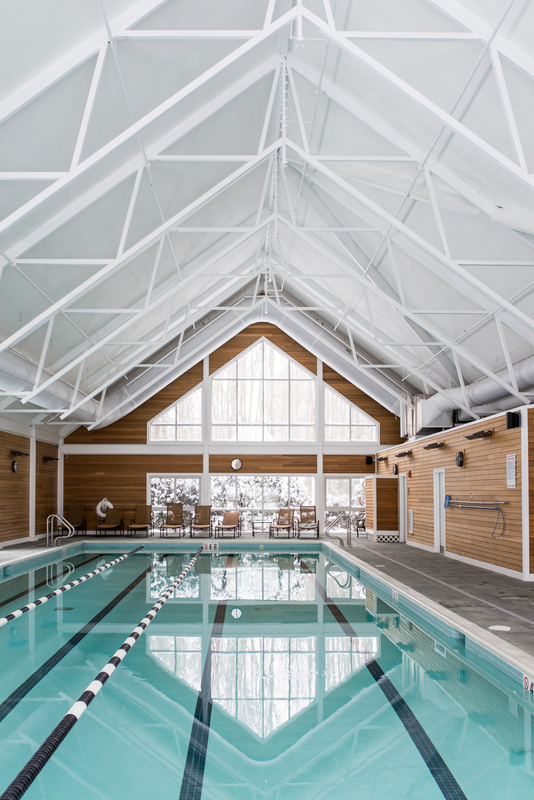 The Spa at The Essex is a beautiful addition to the property, and while we didn't indulge in any spa services, we were able to enjoy the huge indoor 25-yard pool. So fun! 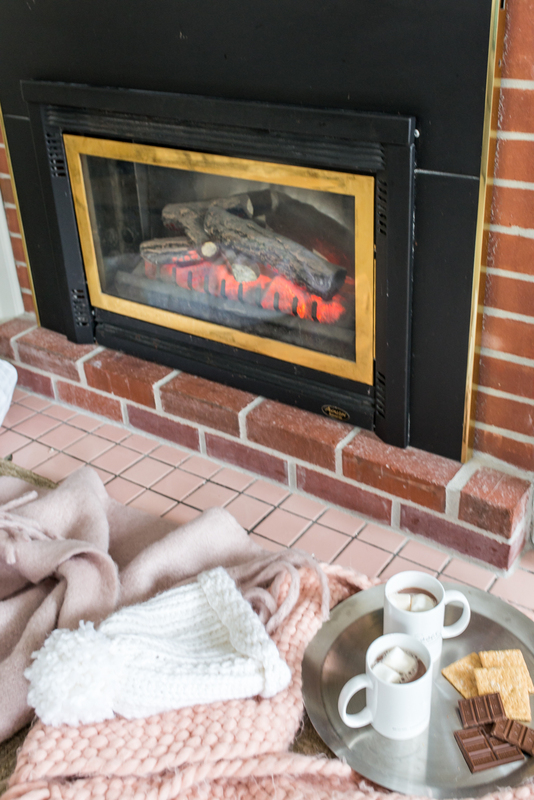 I just couldn't get enough of this fireplace! 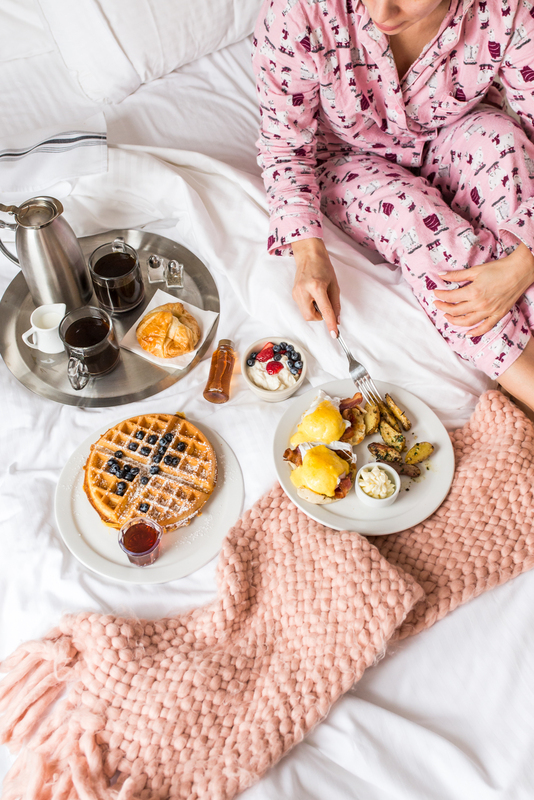 Breakfast in bed. I will always be dreaming about those waffles! Hot chocolate, curtesy of the front desk. 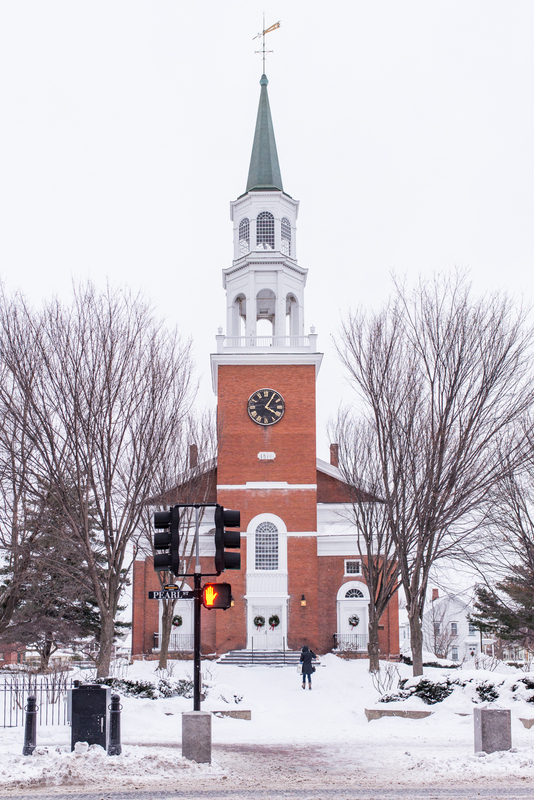 Downtown Burlington, Vermont is beautiful in the winter. Before we knew it, we were being whisked back to the Burlington airport, and boarding a quick one hour Porter Airlines flight back to Toronto. I'm so grateful that I was able to experience Vermont in the winter, and definitely think that it should be on your bucket list; regardless of if you're a skier or not! The whole trip was perfectly planned and stress-free thanks to Porter Escapes. I already can't wait to go back. What do you guys think? Have you ever been to Vermont? 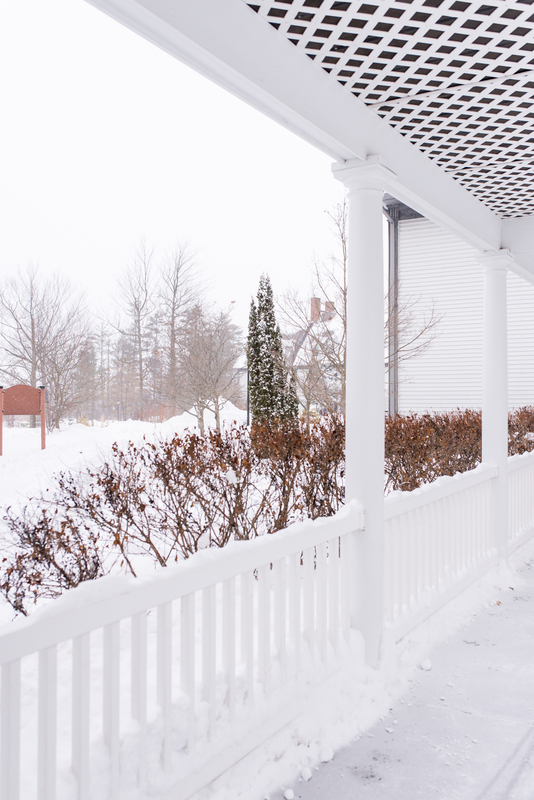 What are your thoughts on a snowy winter getaway? Let me know! Thank you Porter Escapes for this incredible experience. All thoughts and opinions are 100% my own. This looks like such a perfect Winter wonderland getaway! Beautiful photo diary too! I happened to be lucky that my friend couldn't find a date for an event so he generously took me with him, which happened to be one of the best experience for me in recent times. I was lucky enough to see this place. If you get a chance to check these Chicago venues out please do so.